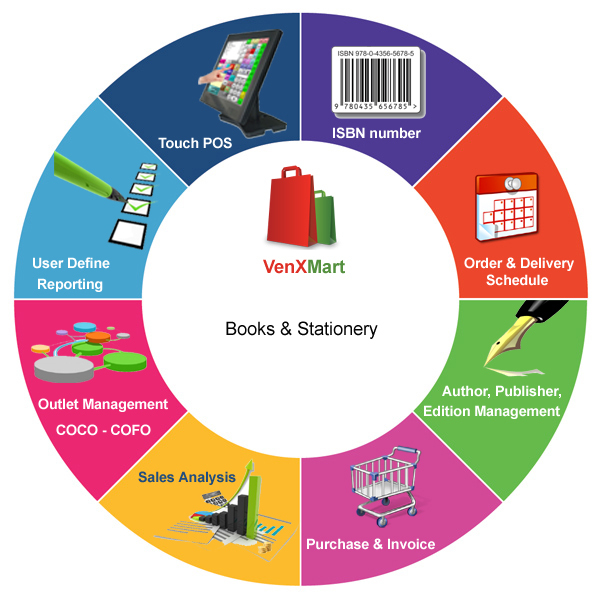 VenXMart is having complete solution for books and stationery. It has simple and secure solution to manage large number of items integrated with barcode printer & scanner, pole display and cash draw box. Fast & continuous customer checkouts are ensured always with our vast range of billing options. No need stick the barcodes again. Calculate age based on this ISBN number. Usage of ISBN number at billing counters. Publisher details on by scanning the barcode. Pickup of items by Editor.